We all know how much I love Target…and if you don’t, well, now you do. I buy everything there; groceries, clothes, bedding, decor etc. It’s my one stop shop and I know just about where everything is…sad, but true. 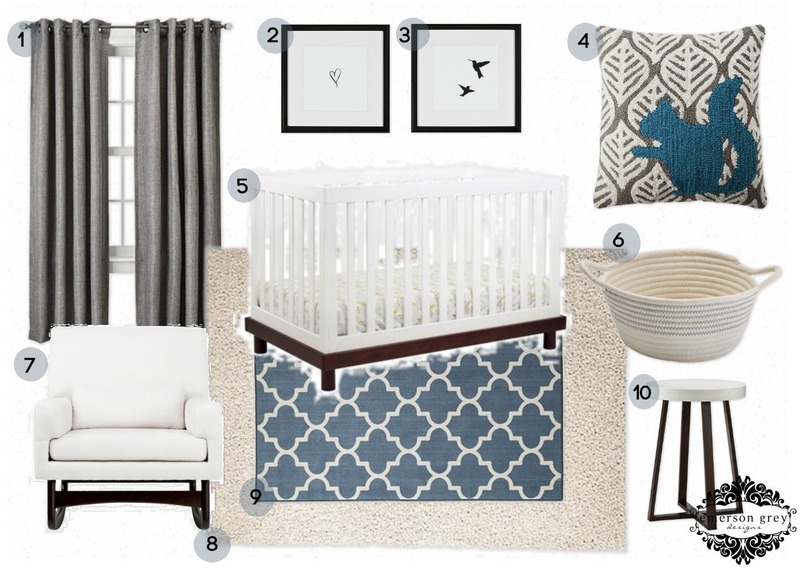 I decided it was time again to do a design board of a Target nursery. I did one awhile ago for a little girl, so I thought it was time to do one for a boy. Target has really grown in what they offer now and I’m always so excited to see what they come out with next. With their online options too, you can really create such a great space. For this nursery I decided to keep the colors pretty traditional; a pretty blue mixed with white and gray. The other pieces in the space, like the Babyletto Madison crib, the Nursery works sleepytime rocker, and the layering of the rugs all work together to add a modern twist to this nursery.